Granite is considered one of the highest quality countertop materials on the market. It is also the most popular. It makes an ideal choice for bathroom countertops. It possesses unmatched natural beauty. Granite is also extremely durable. It is easy to clean and naturally waterproof. It’s natural properties give it a look that is unique to each individual slab cut from the quarry. 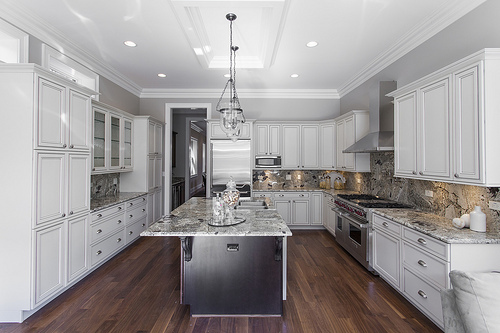 Granite’s natural properties make it a practical and eco-friendly choice for countertops. It will give a distinctive, sophisticated design to your bathroom. Read on to discover the benefits of granite countertops in your bathroom. Then come visit our showroom in Wayne, New Jersey. You can take a tour of our slab yard. There are more than 1,000 unique slabs of granite to select from for your new bathroom countertops. Extreme durability is one of the most recognized benefits of granite. We often forget about the impact that our daily routine can have on our bathroom countertops. Granite is nearly indestructible. It survived the test of time in its natural environment of harsh earthly elements. Its hardness ranks second to the hardness of a diamond. Granite countertops will have no trouble standing up to the demands of your morning routine. Hot tools and styling products will pose no threat to granite’s naturally durable crystalline structure. Maintain your granite’s seal. This way you won’t need to worry about makeup or other products leaving a stain behind. Granite’s easy maintenance is one of the most recognized benefits of granite. With all that happens on a countertop surface, there is one key aspect in selecting countertops. This is an ability to easily clean and disinfect the countertop surface. This is perhaps the most important consideration when selecting countertops for the bathroom. Granite’s natural properties make it incredibly easy to clean and disinfect. Just use warm soapy water, baking soda, or your favorite non-acidic multi-surface cleaner. Your countertops will be gleaming like new. You can also easily seal your countertops to maintain natural luster and prevent stains. Granite’s natural properties also make it extremely waterproof. 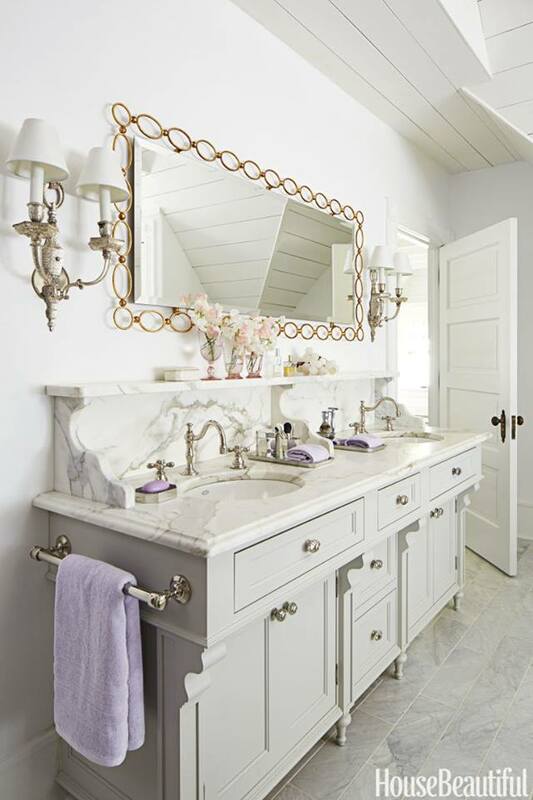 This is a necessity in choosing a countertop surface for the bathroom. 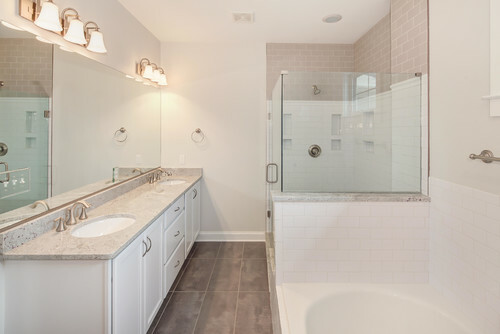 Those with granite bathroom countertops need not worry about splashes from the sink or shower. Water poses no threat to granite. Granite is a natural stone. It possesses a look that can be created only by the natural beauty of the earth. Granite is not manufactured. Each granite slab selected for countertops is like no other. It provides a distinctive design feature. This design is as unique as the home itself. Granite is available in an endless range of patterns and colors schemes. It can easily be tinted to complement any color palette. Granite creates a unique and beautiful design feature within your bathroom. Aqua Kitchen and Bath Design Center takes pride in its quality granite products and fine craftsmanship. Our friendly staff is here to walk you through selecting the perfect granite countertops for your bathroom. Aqua is a top dealer in granite countertops NJ. Come visit our showroom in Wayne, New Jersey. Here, you’ll find more than 4,000 square feet of the finest kitchen and bathroom products. During your visit, step outside to view our slab yard. There are more than 1,000 unique slabs of granite from all over the world. See for yourself why granite has maintained its spot as the top countertop material on the market. You can also contact us for a free and no obligation estimate.